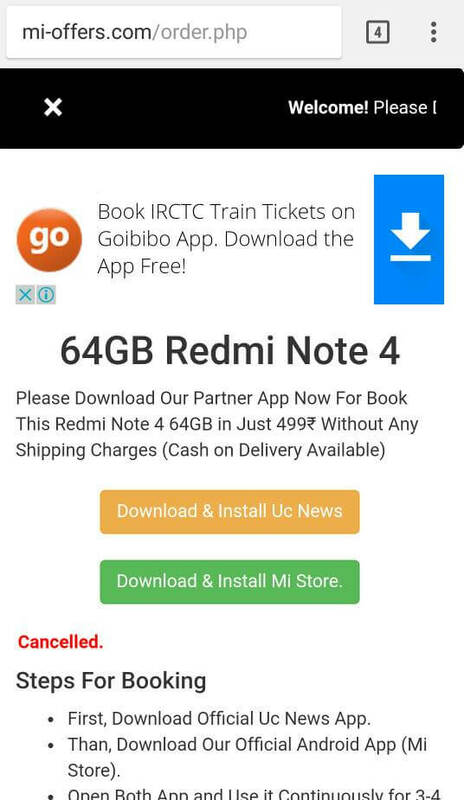 This Redmi Note4 for Rupees 499 only offer is fake. It makes you install an App which can be a Malware. Please refer to the verification section of this article for more details.